I received some big new yesterday. 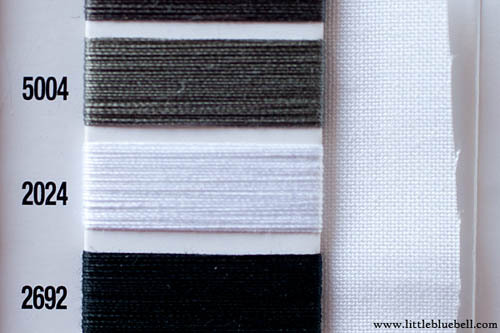 My custom Aurifil thread collection was selected as one of the winners over at Lily's Quilts. Yahoo!! I was very excited, hopping all around the living room, riling up the puppy and causing great confusion with my kids. There were so many beautiful and creative entries!! I never get tired of looking at pretty color combinations. You have to see the many colorful heads of Alex by Hadley. Ohmygosh!! 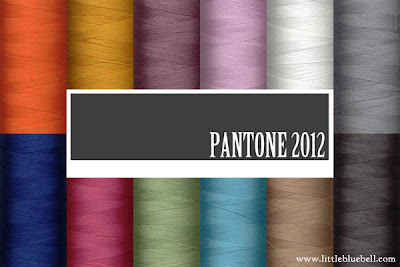 and one based on the Pantone Spring 2012 palette. Then I took a shower and I had an urgent, a-ha moment. What if I did win? What would I actually do with all of those colors? 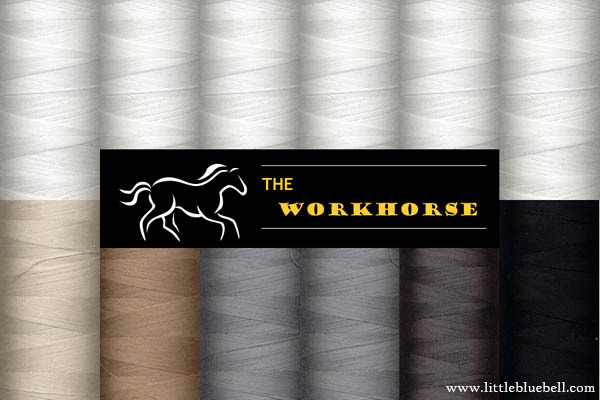 Shouldn't I pick thread that I would go out and buy right now and use for all of my projects? Enter "The Workhorse". These are the thread colors I reach for again and again when quilting. Notice all of the white! 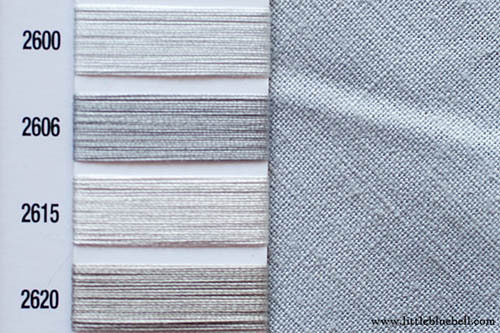 I usually use that for piecing and quilting, sometimes grey depending on the project, and every once in a while beige or black. I panicked a teeny bit because Aurifil is sending me thread based on my selections. You know how choosing colors online can be. Is the white, white? 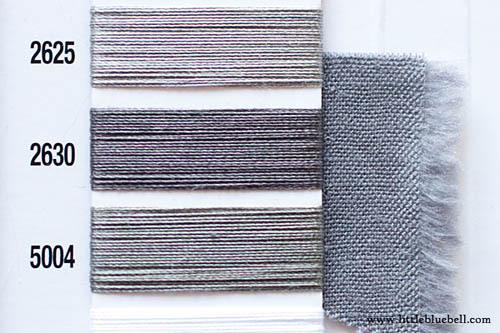 Is the grey, a warm grey or a cool grey? My palette was reworked and refined. Here are my thread color choices, final answer. : ) Thank you so so much to Katy, Lynne and of course Mr. Aurifil himself, Alex!! congratulations! And thanks for the process post! Congratulations! What a useful win! How sweet is that Congrats Adrianne! Neutral is such a no brainer - brilliant choice, congrats. I have spools and spools of attractive colors that never get used. 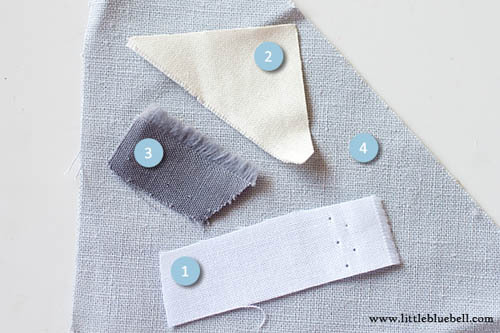 Thanks for sharing your go to fabric. Kona and Bella are in my stash and Essex is on my wish list. Congratulations! I am so thrilled for you! 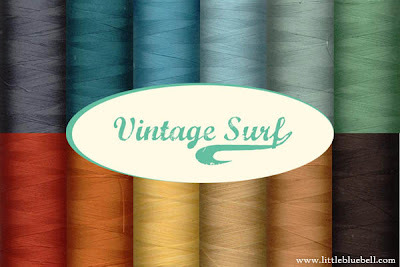 And Vintage Surf is a perfect name for your color palette. Love the name of the Workhorse as well. Perfect. Good thinking, Adrianne! I love the Vintage Surf palate but The Workhorse is the one that I would actually buy. The neutrals are so much more versatile. I use them almost exclusively even though I also have bunches of colored thread. 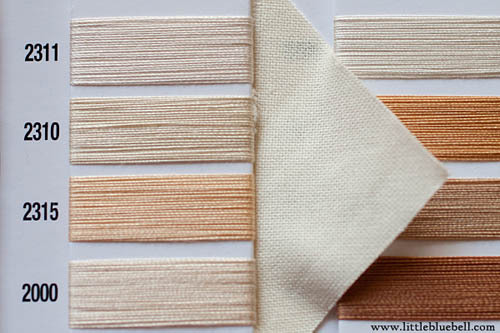 I find that when I do decide to show off some colored thread, I always want to buy it new anyway! Ha. congrats on winning. I thought it was brilliant! When I saw your entry, I thought "Of course!" It's such a clever idea, and so darn practical! I absolutely love Vintage Surf! I love anything vintage really! Congrats on your win! !